The Endura SLE Remote Operated Underwater Vehicle w/ Arm is configured specifically for security and law enforcement applications. In addition to the standard features of the Endura, it includes a lateral thruster, a manipulator/grabber arm, 195 feet of neutrally buoyant cable for continuous AC power, maintenance tool kit, and 256 GB of solid state memory. 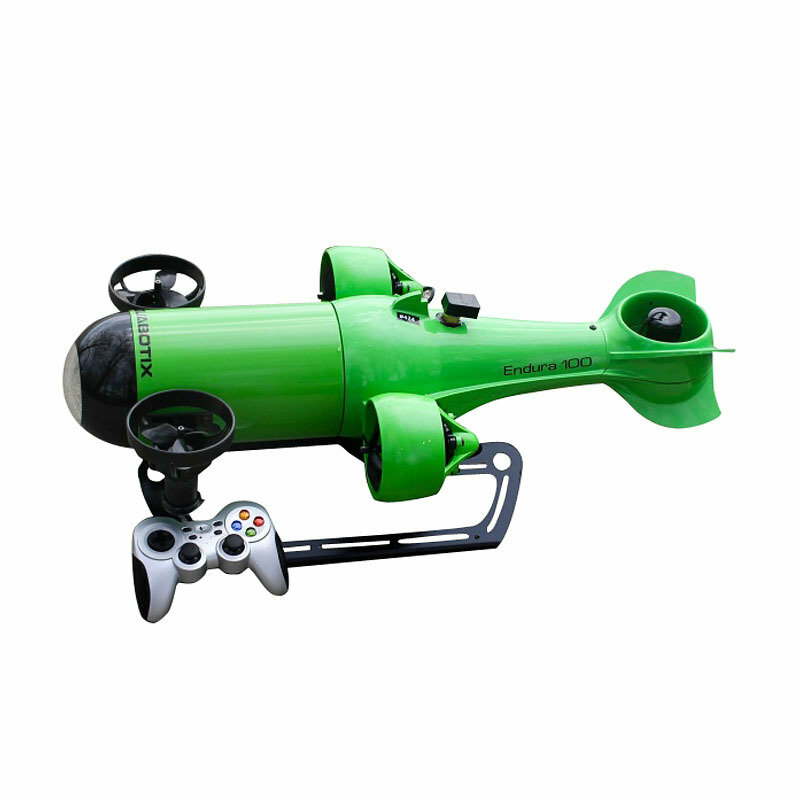 The Endura SLE Remote Operated Underwater Vehicle w/ Arm is the next step in Aquabotix's proud history of innovative and advanced ROV systems.